Enjoy the warmth and style of this stepping texture hat, easily crocheted in our Bernat Softee Chunky yarn. Choose your favourite color to create a winter hat that shows off your individual style. 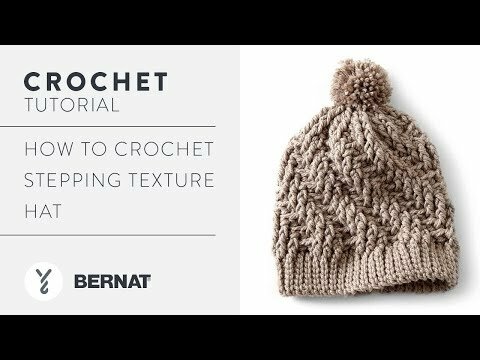 Bernat Softee Chunky yarn knits or crochets quickly so you can enjoy a beautifully textured hat in no time. This one size fits all piece makes a chic addition to your winter wardrobe, so go ahead and explore the fabulous looks of the season.